President Trump sought to turn the tables on Democrats on Monday, accusing former President Barack Obama of having “colluded” with the Kremlin or “obstructed” the investigation into Russian interference through his administration’s admitted lack of action prior to the presidential election. Trump, in a series of morning tweets, appeared to be alluding to a Washington Post report from Friday that revealed the CIA told Obama about alleged Russian meddling in the election as early as August 2016 – and yet the Obama administration didn’t publicly disclose the attempts until a little-noticed statement in October. “I feel like we sort of choked,” an anonymous former Obama official told The Post. “The reason that President Obama did NOTHING about Russia after being notified by the CIA of its meddling is that he expected Clinton would win and did not want to ‘rock the boat.’ He didn’t ‘choke,’ he colluded or obstructed, and it did the Dems and Crooked Hillary no good,” Trump wrote in a pair of tweets. Though detractors – including some high-profile Democrats – have, in the aftermath of the November vote, accused the Trump team of possibly colluding with the Russians, none of the myriad investigations probing the charge has publicly unearthed evidence of Trump campaign cooperation with Russian officials. And even some top Democrats have begun questioning why Obama waited so long to identify – nevermind address – the Russian threat. 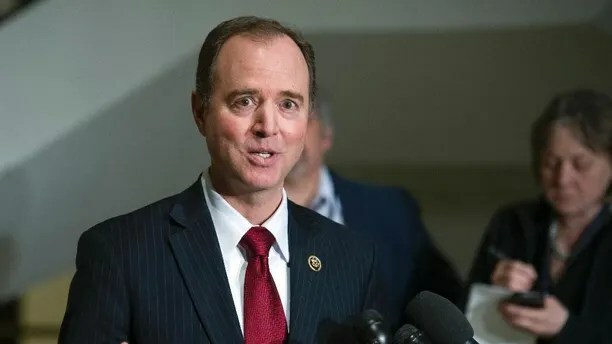 “I think the administration needed to call our Russia earlier, needed to act to deter and punish Russia earlier, and that was a very serious mistake,” Rep. Adam Schiff, D-Calif., told CNN on Sunday. Schiff is the ranking member on the House Intelligence Committee. House Intelligence Committee ranking member Rep. Adam Schiff speaks to reporters on Capitol Hill. Schiff and other Democrats have surmised that Obama may have played low-key offense in regards to the Russian menace because Obama didn’t want to be seen as having an impact on the election. However, Trump has contended Obama sat on the information because most polls showed his Democratic opponent, Hillary Clinton, leading with an easy path to victory. Shortly before he left office, Obama kicked several Russian spies out of the country, evicted diplomats from two housing complexes and instituted sanctions on Russia. Whatever Happened to the Feminists' 'Hear Me Roar'? GREGG JARRETT Pelosi, others wrong on Donald Trump Jr.
Dog rescued three days after boating crash in Calif.